Found it! 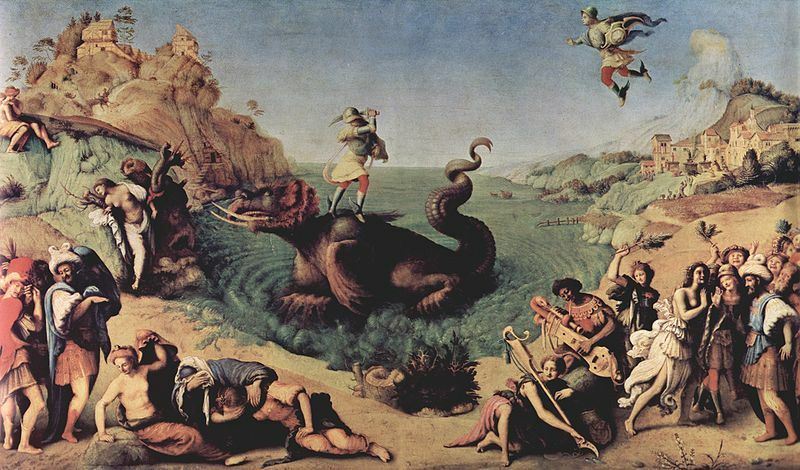 The painting is of Perseus freeing Andromeda by Piero di Cosimo painted in 1510 or 1513. At what point, and why, did snuff tobacco fall out of favor with European nobility? What was the official language used across European monarchies in the XII century? What is the origin of the black/devil riders?